William Ramsay, a mechanical engineering major from South Berwick, Maine, expects to graduate in May 2020. He’s still interning with the NASA Marshall Space Flight Center in Huntsville, Alabama. 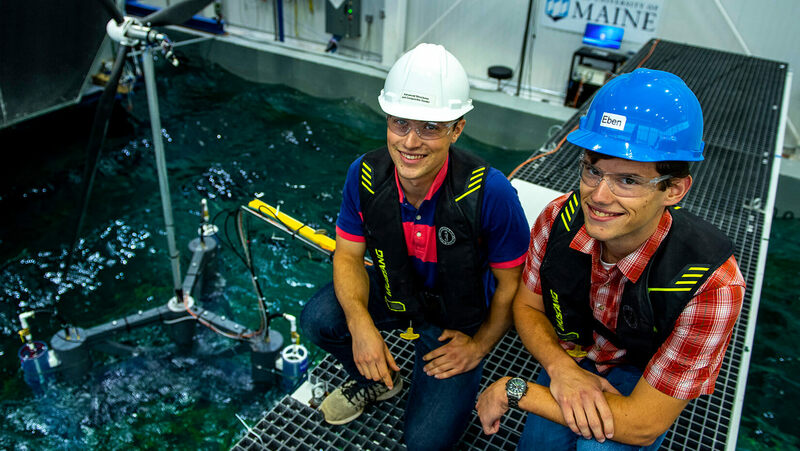 During the summer, he applied NASA-developed technology to the VolturnUS offshore floating wind turbine platform at the Advanced Structures and Composites Center. See posts featuring Lenfest and Ramsay on UMaine’s Facebook and Instagram pages.